No one before sang quite like Stevie Wonder does on this groundbreaking album, but everyone did afterwards. 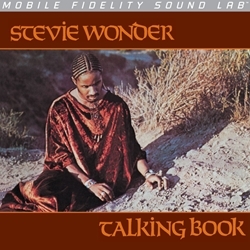 Wonder's tonality and phrasing on Talking Book were breakthroughs in soul/pop vocalizing. An explosion of artists began singing the word "baby" the unusual and exaggerated way Wonder does here. Even if they sounded completely different on the rest of the song they were performing, when they got to the word "baby" it came out sounding like Wonder's exaggerated "baby." You can hear from where Michael Jackson got his falsetto cackling. The slow, sticky, funky rhythm on "Maybe Your Baby" was startlingly new back in 1972 and it served as a template for an entire genre of music. Wonder's shift from soul to rock and jazz also startled a generation as did his daring use of the then novel Moog synthesizer—far more prominent here than on Abbey Road to which the Cecil/Margouleff team also contributed. But while many think of Talking Book as Wonder's "coming of age" album, they are forgetting about his previous album Music of my Mind, which was Wonder's launch into manhood much as Off the Wall, which preceded Thriller, was Jackson's. The songwriting is as sophisticated as the production, particularly the gorgeous ballads "You are the Sunshine of My Life, "You and I," "Blame it on the Sun" and the finale, "I Believe (When I Fall in Love it Will Be Forever)." These achievements almost get lost in the shadow of "Superstition," which combines a powerful message, an insistent funk beat, and that clavinet riff that was a new and sensational sound in 1972 and still grips today. Let's not leave out the fact that Stevie also plays the drums, keyboards and other instruments. This album established him as one of the greats even were he not to follow up with Innervision and the others. The album combines funk, social commentary, dramatic expressions of love, rock, a new sound paradigm and on and on. No wonder it sounds as fresh and focused today as it does when it was released, though if you were there then, the seismic wave that rippled through the music community was gigantic on a scale that's difficult to appreciate if you came to this album much later. Jeff Beck, Ray Parker, Jr. and Buzzy Feiton (misspelled "Feton" on the original LP) add the guitar licks and David Sanborn alto sax on "Tuesday Heartbreak." The contributions made by other musicians are equally important to the album and speaking of groundbreaking, don't forget the background singing and especially the background singing arrangements that have voices breaking through aggressively in ways that hadn't yet been heard. Even the cover, with Wonder wearing African garb, his hair cornrowed, sitting in the dirt, announced a major shift in his world view, even if the songs mostly remained steeped in Tin Pan Alley style balladry. While the original (Tamla T-319L) jacket features braille, Mobile Fidelity's reissue does not, nor do any of the other pressings I've got here. Otherwise, Mo-Fi has done a very nice job with the gatefold packaging, especially considering it's part of their less expensive "Silver Label" series pressed at RTI on 140g instead of 180g vinyl. This was never a sonic spectacular. It was merely good. There are probably numerous overdubs and parts added in Europe and America and it sounds somewhat less than immediate and present on the George Marino mastered original (the initials M.B.G. on the lead out groove area must be George's way of "hiding" while taking credit. When he later joined Sterling Sound, he scribed nothing to indicate his mastering). 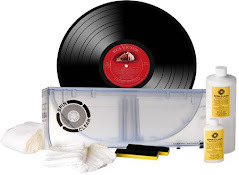 Motown began using RCA to plate and press its records from the beginning. In the early days when the label was pressing "Living Stereo" records this was a benefit for Motown and for record fans and audiophiles. Motown's records in those early days were beautifully pressed on thick vinyl. That association became a curse by the early '70s when RCA went to thin "Dynaflex" vinyl. Motown's records became equally thin and many suffered "non-fill" at the outer extremes, which was evident as noise. Plus, by that time there was a vinyl shortage, which is probably what led RCA to begin producing such thin records. Rainbo's Steve Sheldon related some stories of pressing plant desperation in those days when literally anything that could be melted was added to the pellets to make them go further. So it's not likely you'll find or own a quiet, clean original. Mine original is pretty good but has some noise. There's an excellent German "two-fer" if you can find it, with this album plus Music of My Mind. What makes it particularly worthwhile is that both LPs were mastered by Marino and feature the same inner groove information as the original, so you get a cut from the fresh master tape and superb German plating and pressing. If you can find that, don't pass it up but good luck finding it. There was also a very good late '70s Japanese pressing (VIP 6003) that cost 3500 yen ($30) back then that's beautifully pressed and comes in a thick, leather-textured jacket, plus the mastering is very faithful to the original. As for this MOFI reissue, it is very, very good. Understand that when you hear occasional vocal sibilance it's on the tape because it's also on every pressing I have here. Also, the drums on "Superstition" are somewhat dark and lacking in snap and presence. That's just the way the recording must sound since every version I have here sounds that way too. However, it's also fairly safe to say this was issued on Mo-Fi's Silver Label series because the master tape wasn't available and that's not surprising. Universal lost a great deal of their masters in the disastrous Universal Studios backlot fire of June, 2008. It's doubly tragic because there had been numerous fires at Universal yet management still chose to warehouse the audio tape masters along with a huge collection of video masters instead of putting them in a more secure location. 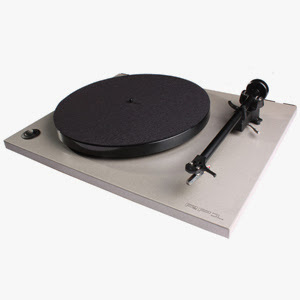 Fortunately, much of the jazz catalog, particularly the Verve material had been stored more securely on the East Coast and ironically many of the Impulse masters were out at AcousTech being mastered for vinyl reissues. Most likely, a good deal of the Motown masters were lost in the fire, this being one of them. Still, since most of the records we treasure from the "golden age" were cut from production cutting masters and not original tapes, reissues like this should sound close to as good as the originals minus whatever losses occur as tapes age. In the case of this album, Paul Stubblebine did an excellent job of capturing the spirit of the original pressing, which was relatively warm, sweet and somewhat distant in parts, but with great presence and transparency in others—and sometimes it varies instrument by instrument on the same tune. Thankfully, he didn't try to "jazz it up" with high frequency EQ to "put back" what wasn't there to begin with. Add a really quiet RTI 140g pressing and a $22.99 price tag and it adds up to a great reissue and a cause of celebration that Mo-Fi got to this before some of the overseas frauds cutting from CD and claiming to be "vinyl lovers." Unless you can find that German "Milestones" series two-fer (Tamla-Motown 5C 184-50371/72) or a clean, quiet original (good luck with either), this numbered, limited edition is the one to have. this from the uk, glad to see vinyl is doing well in britian! As the internet puts music shops across the country out of business a vintage store has turned back the clock and opened a vinyl record shop upstairs. Everything from Blondie to Bruce Willis can be found among more than 5,000 records on the first floor of Sellars Secondhand Allsorts in Lower Street, Kettering. And the huge range collected over six months is proving a big hit with customers. Daz Sellar, 41, who opened the vintage and retro shop two years ago, said: “It has been really good. Jennifer Chesler could think of no better way to spend her day off than browsing the aisles of BeBop Record Shop. But Wednesday as she approached the independent music store at Maywood Mart, a row of signs taped to the windows stopped her in her tracks. STORE CLOSING. EVERYTHING MUST GO. "I was just floored. This is like the main CD store I come to," said Chesler, a 25-year-old drummer and budding violinist who moved to Jackson in 2007 from Atlanta. "I'm not from Mississippi, but I know this place is a staple for Mississippi." After a 36-year run, BeBop will close its doors May 28, said co-owner Kathy Morrison, who's quick to remind people that BeBop has always been, always is and always will be about the music. interesting take and opinions on the vinyl revival, although how can anything be taken seriously (for me anyway) by a man who calls himself 'peanut butter wolf? In 1955, Chuck Berry recorded his first single, “Maybellene,” at the Universal Recording Studios in Chicago. According to Berry’s partner, Johnnie Johnson, the song was a reworking of the traditional “Ida Red,” renamed “Maybellene” after producer Leonard Chess spotted a mascara box in the studio bearing that name. The song hit #5 on the U.S. pop charts and #1 on the R&B charts. In 1957, 16 year old Paul Anka records "Diana" at the ABC-Paramount studios in New York. The song would reach #1 in the US the following September and became the first of his 33 US Top 40 hits. It was also a chart topper in the UK. In 1963, 13 year old Little Stevie Wonder recorded a song that would be his first number 1 hit, "Fingertips Pt. 2" at a concert in Detroit. The 7 minute song was later edited into two parts for radio play. In 1969, John Lennon and Yoko Ono began a ten-day "bed-in" in Montreal's Queen Elizabeth Hotel. Crosby, Stills, Nash and Young recorded "Ohio" in 1970. Paul McCartney released "Ram" in 1971.